It really doesn’t get any more basic than this. The pudding itself is made of only 5 ingredients, most of which you probably already have in your pantry. 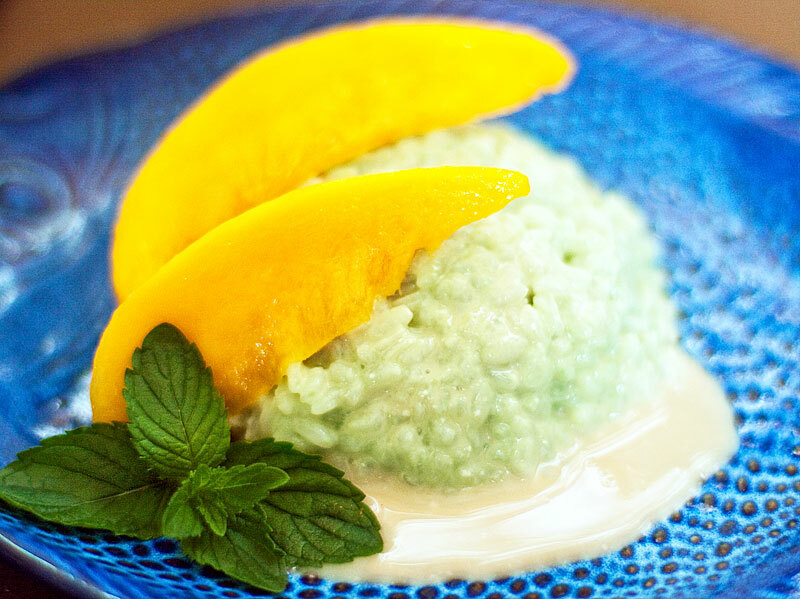 Our version was inspired by the Thai classic, Mango Sticky Rice, but rice pudding is a concept that is truly international and every culture has a version all its own. You don’t have to use bamboo rice, of course, but we really like it in this recipe. Not only is it a glutinous, short grain rice (perfect for rice pudding! ), but it’s also very tasty and the delicate celadon-green color is exceptionally attractive. If you don’t have access to bamboo rice, use any short grain rice. Try it with an Italian risotto rice like arborio, carnaroli or vialone nano or a Spanish paella rice like calasparra or bomba. Of course, you can use a traditional Asian sweet rice or any good sushi rice. You’ll get a slightly different, but equally good result with any of them. Place the water and bamboo rice in a large saucepan. Bring to a simmer over medium heat, stirring frequently. Reduce the heat to low and continue to cook for about 20 minutes, stirring occasionally, until the rice is tender and almost all of the liquid has been absorbed. Meanwhile, while the rice is cooking, make the coconut sauce. 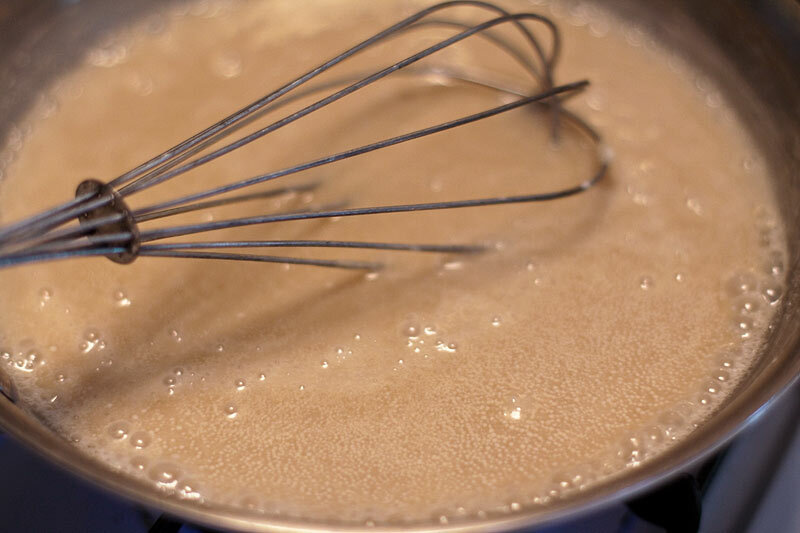 Heat the coconut milk, sugar and salt together in a saucepan, whisking to dissolve the sugar and salt. Reduce the heat and simmer until the sauce is smooth and slightly thickened. Remove from the heat and keep warm. Stir half of the coconut sauce into the rice mixture and cook for about 5 more minutes. 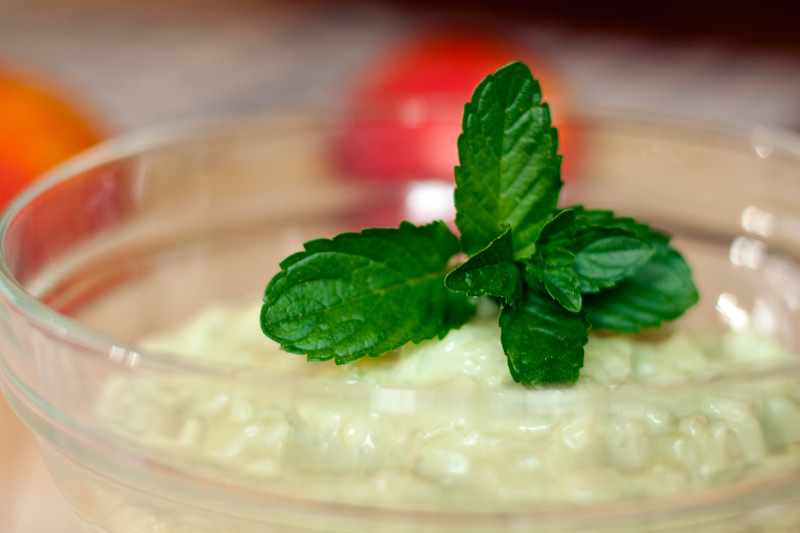 The rice should be very moist and creamy, like risotto. If too dry, add a little water; if too wet, cook for another minute or two. Remove from heat and gently stir in the vanilla. Pour the rice pudding into a bowl and allow to cool slightly. This deliciously creamy dessert can be served warm, cold or at room temperature – it’s equally delicious no matter how you serve it. Intimidated by the thought of preparing mangoes and don’t know where to start? Try this easy & foolproof method: Starting at the top of the mango, right next to the stem, slice both “cheeks” off the mango with a sharp knife. Hold the blade of the knife parallel to the flattish side of the mango, then carefully cut downward, feeling your way along the pit. Turn the mango around and do the other side. Slice each cheek into quarters. Lay each quarter skin-side down and with the knife almost flat on the cutting board, slip the edge of the blade under the skin and slice it right off, just as you would remove the skin from a fish fillet. Voila! Spoon the rice pudding onto dessert plates. Drizzle a little of the warm coconut sauce over the top so the sauce pools around the rice. Arrange the sliced mango on the plate with the pudding and garnish with fresh mint. It’s lovely! It has such a nice green color. I am really looking forward to trying bamboo rice some day! Lyndsey, the bamboo rice is such a pleasure to work with. I hope you have the opportunity to try it very soon. Hey, Chef David, what is with the diver dan suit? I really miss all your food tastings! Am definitely trying this recipe! Hugs to all at Earthy! Rice pudding is a big favorite in our family! I love the color of the rice and the coconut milk is a favorite of mine! Can we use something else instead of the unrefined sugar?? Joy, you can substitute your favorite sweetener in place of the unrefined sugar. Agave syrup, honey, brown sugar, palm sugar – even plain old white sugar will work. 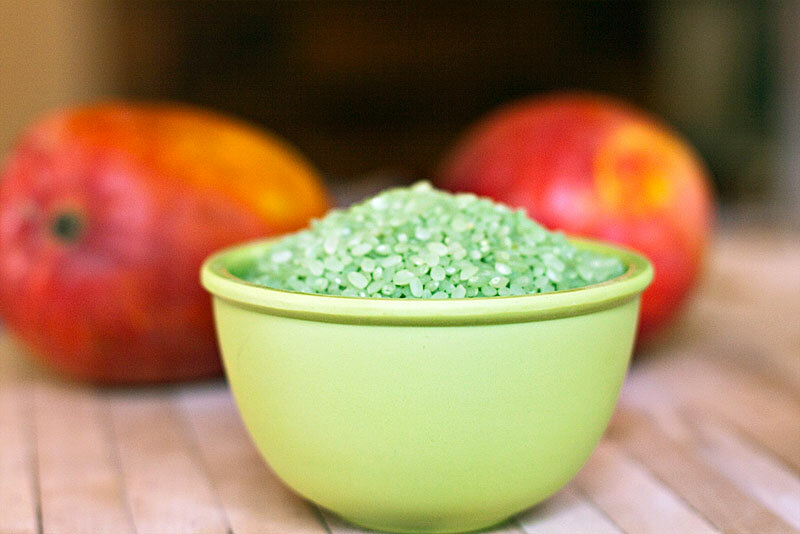 We use unrefined sugar in our household and of course, Earthy Delights sells it. Bottom line: I just like the flavor.